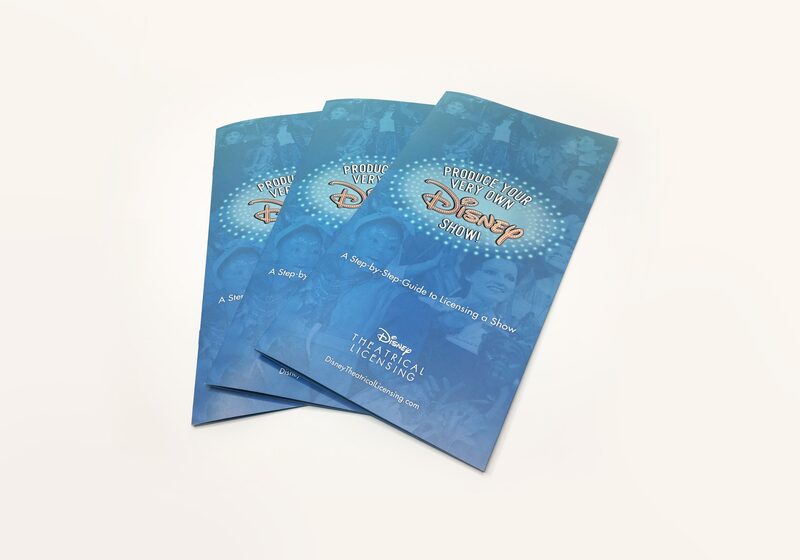 In 2017, I was asked by Disney Theatrical Group to refresh the Licensing Department with a new visual and technological approach. 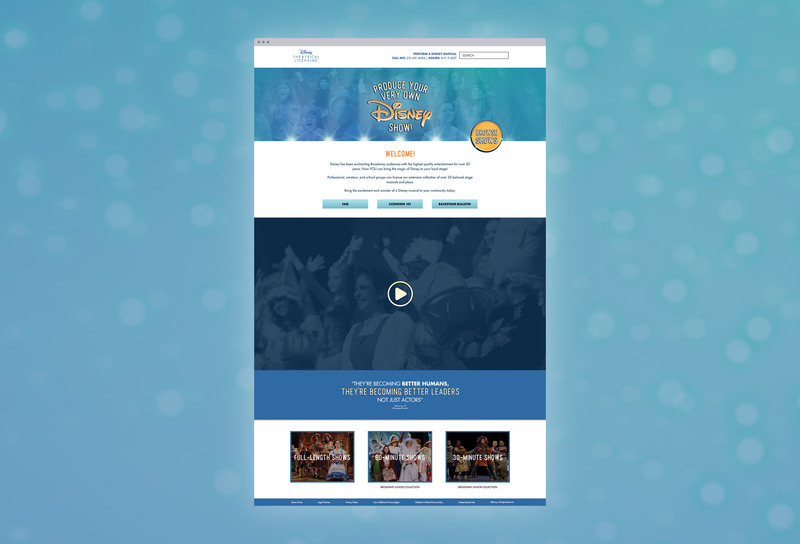 The main objective of the refresh was to help customers easily explore the DTL show catalog and understand how to self-produce their own live Disney show in their communities. 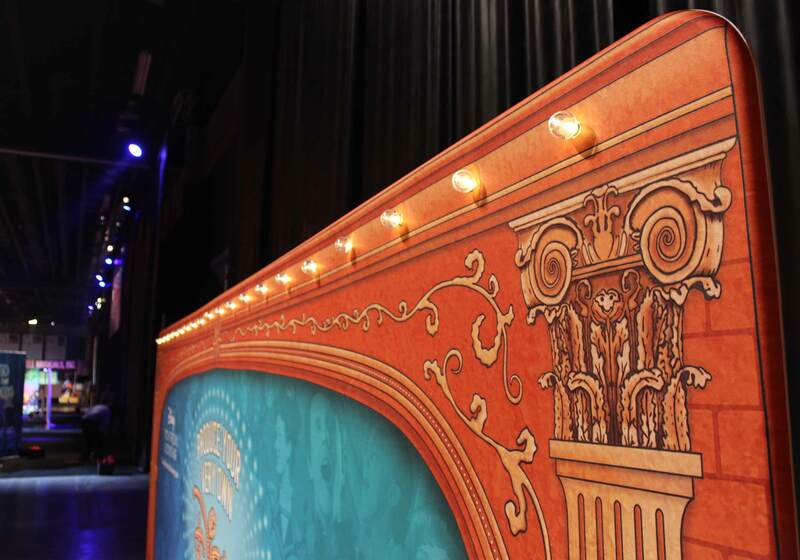 The identity is designed to be welcoming to a wide demographic including directors, teachers, and actors of all ages. Images of actors from several age brackets were layered throughout the background art, creating a personal touch to each piece of supporting collateral. 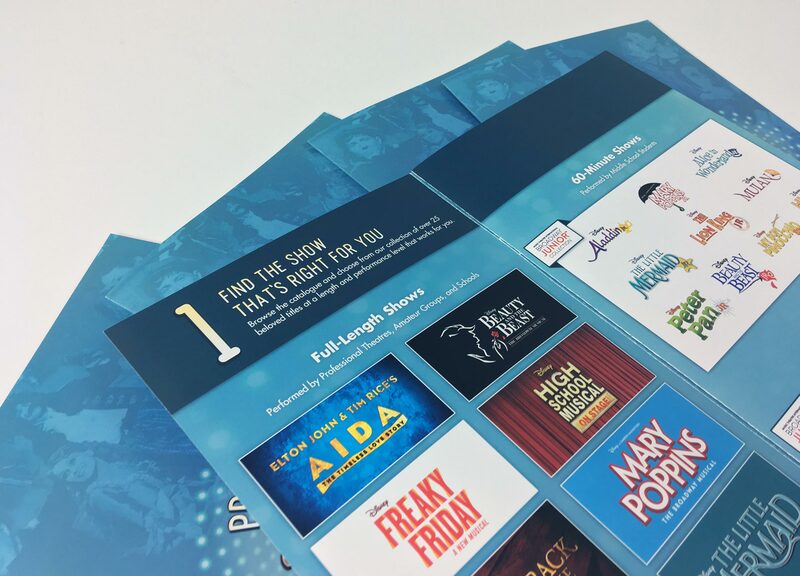 Whether someone is producing a show for the first time, or for the one-hundred-and-first-time, the trade show exhibit acts as a personal licensing guide. 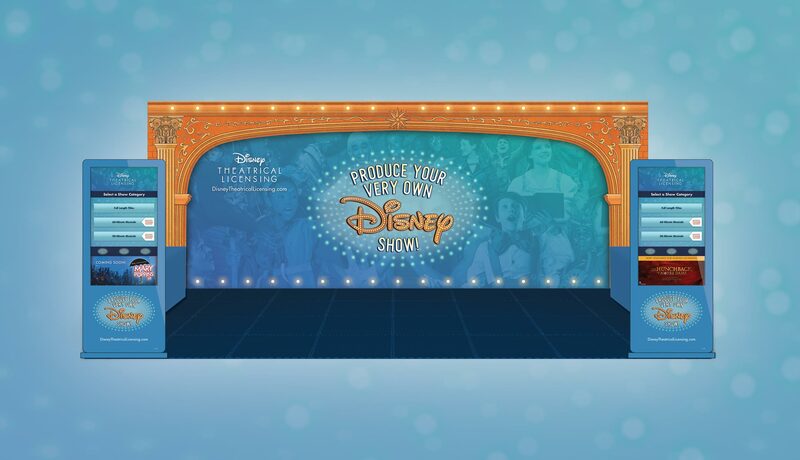 The transportable design features two interactive touch-screen kiosks, with an interface that guides the user with step-by-step directions on how to produce their very own Disney show.